OVMiles is a loyalty program of the RET where the chip card functions as the information carrier. Together, with a large number of partners in the Rotterdam Area, the program offers a number of travellers with the use of their chip card the possibility to save for discounts and special offers. OVMiles rewards travellers depending on the distance travelled on public transport. A traveller registers through the OVMiles website and activates OVMiles on the chip card at one of the trigger points. From that moment, the traveller automatically saves OVMiles when he or she travels with public transport and checks in and out within the RET service area. One kilometer travelled by public transport, translates to one OVMile reward. Free snacks or discounts on cinema tickets. Exclusive theatre and tour packages with backstage passes. A special offer based on the OV-check (without Miles). 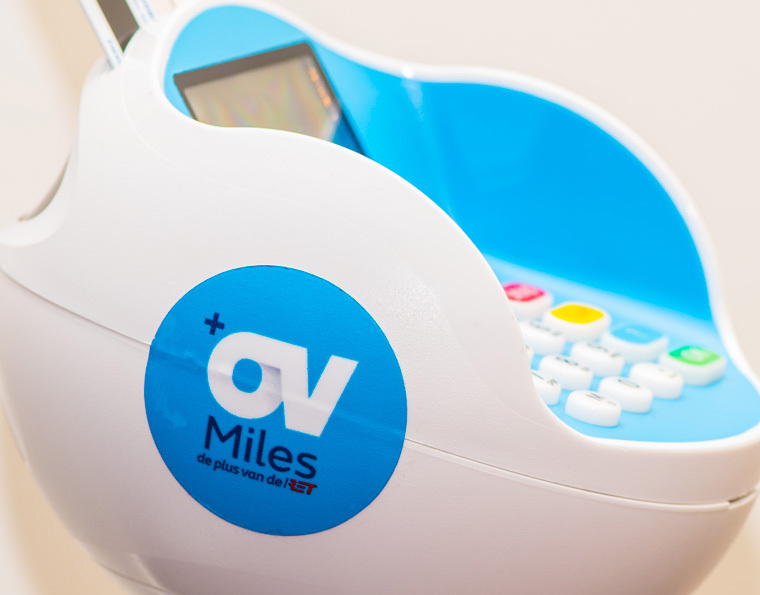 OVMiles can be cashed in for vouchers at a partner with an OVMiles / OV chip card reader installed. In addition, members can also use the OV-check, which determines if the chip card has been used in the past few hours in any of the public transport services entitling him to a special offer. RET has selected our company in 2013 to manage and certify chip card related projects for the loyalty program. We also carried out the installation of the central back office infrastructure, as well as the installation of the chip card readers at a several of their partners. We now manage the central back office and perform installations at a number of partners. Currently, OVMiles has more than 35.000 active members and there are about 100 OV-chipcard readers operational at several partners. The RET has the ambition to expand their partners on the OVMiles network and to increase the number of members. To achieve this goal, the RET has deployed several marketing campaigns.